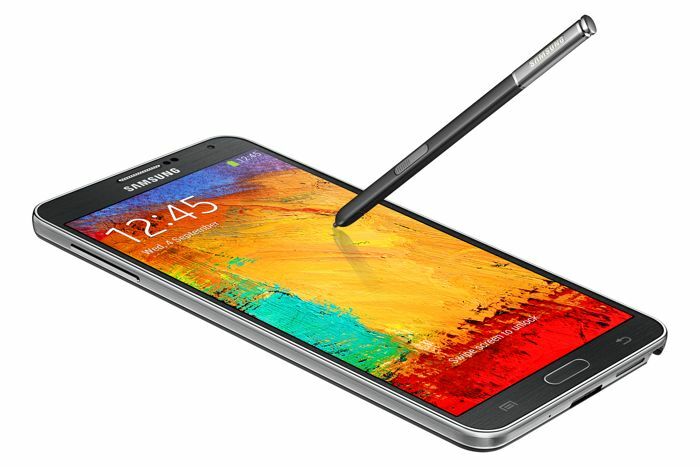 Samsung Galaxy Note 4 has seen its fair share of leaks in the past few weeks. We’ve seen several reports, hinting at the possible specifications of the device, as well as a rumored launch dates. Recently, the alleged Samsung Galaxy Note 4 was spotted on Samsung’s website in a User Agent profile with a model number SM-N910A. According to the UA Prof, the alleged handset will come with a display sporting QHD resolution (2560 x 1440 pixels), as well as a 16MP camera. It’s not just UA Profile, the alleged handset with model number SM-N910A was also spotted on Zauba, an imports and exports tracking website in India. It seems the alleged handset has landed in India for testing and evaluation — we’ve seen several Samsung devices making their way to India for testing and evaluation in the past so it’s not a surprise. As per Zauba, the alleged handset comes with a similar screen size as the Galaxy Note 3, that is, 5.7-inch. Rumors suggest Samsung may offer two variants of the Galaxy Note 4: one with a curved display for niche markets while the second one will be an international version, and will come with a flat QHD display. Spec-wise, rumors suggest it will come with Snapdragon 805 as its processor, 4GB of RAM, fingerprint sensor, 16MP camera, and Android Kitkat as its operating system, or may be a newer version. We’ll update you as soon as more information comes up.